Additive Manufacturing encompasses the multitude of technological advances that contribute to the building of 3D objects and prototypes. This process is used with many types of prototyping. Additive manufacturing works by adding very thin layers on to other layers. Materials used with additive manufacturing include metal, concrete and plastic. At Met-L-Flo, many of our manufacturing and prototyping involves additive manufacturing including Rapid Prototyping and Direct Digital Manufacturing. Here at Met-L-Flo, we utilize CAD as it works efficiently and accurately with additive manufacturing processes. Your prototype or digital model is sketched using CAD and then one of the prototyping or manufacturing processes begins. If you have any questions about additive manufacturing in Chicago or would like more information on our other 3D printing and prototyping services, call us today at 1-800-MET-L-FLO. Or you can fill out the contact form on the right and we will get back to you shortly. 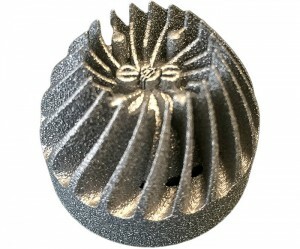 Additive manufacturing is incorporated with many of our prototyping processes. It is a design driven manufacturing process, meaning the design determines the method of manufacturing. This allow for exceptionally complex structures to be developed that are both lightweight and stable. It also allows for a higher level of designing freedom and is perhaps the most beneficial aspects of additive manufacturing. One of the other benefits of additive manufacturing, is the fast turn-around time. Additive Manufacturing is design friendly and helps get the physical prototype in your hands quickly and efficiently without compromising the structural integrity of your design. There is a greater sense of freedom when it comes to design, making it easier to add on to your design or make changes if needed. If you have any questions about our Additive Manufacturing services in Chicago or would like more information, contact us today at 1-800-MET-L-FLO. Or fill out the contact form on the right and we will get back to you shortly.